Maroon 5 have announced dates for a fall 2016 tour of North America. The 6-week run starts September 3 in San Antonio, TX and will see the band joined by Tove Lo on all dates, with Phases and R. City appearing separately on select dates. A Maroon 5 fan club and American Express presale starts November 9 at 10:00 am local time, while a Live Nation presale begins November 12 at 10:00 am local time. General public tickets will go on sale November 14. The project debuted at No. 1 on the US Billboard 200 on its way to sales of more than 1 million copies in the States alone. The band issued the compilation “Singles”, in the fall; the set presents a dozen hits from the group’s career. 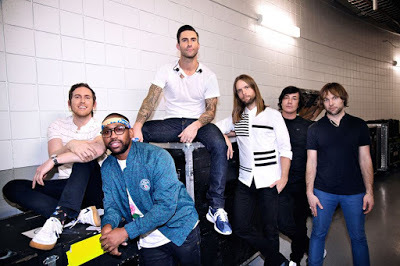 Maroon 5 will close out 2015 with two shows in Las Vegas at the Mandalay Bay Events Center on December 30 and 31. The group will then kick off 2016 with spring dates in Mexico and South America starting in February.